With this Experts network, Vygon aims to expand Regional Anesthesia best practices worldwide. Feel free to click on the dots to find the most appropriate training center to improve your technique and knowledge on peripheral blocks or chronic pain treatments. Here are some videos of Vygon’s partners working in training centers not shown above. A complete presentation of a paravertebral block with ultrasound by Dr Rafa Blanco (Abu Dhabi). Dr Desprats (former anesthetist at Toulouse University Hospital – France) dedicates this video to future mothers. 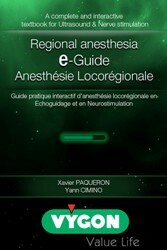 Available in English and French for anesthetists who wish to inform future mothers about the advantages and restrictions of having an Epidural.